These coastal retreats stay open in the winter, offering cozy getaways at reduced rates. Once snowflakes fly, ski country gets all the attention here in New England. But several top coastal inns and hotels stay the course for discerning winter vacationers who prefer a long walk on a deserted beach to racing down a mountain. The good news is that when the mercury falls, so do the room rates — 20 percent or more in some cases. For sheer drama, it’s hard to beat the majesty of surf crashing on the rocks of the Maine coast. 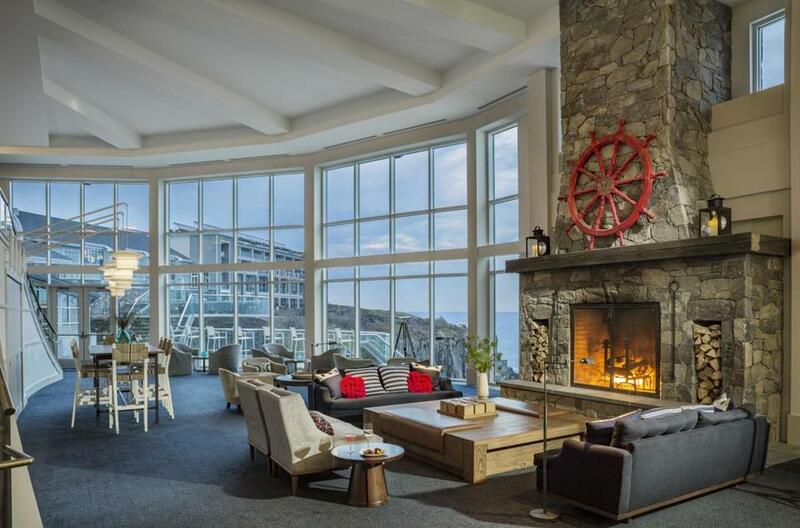 It’s even harder to beat when you’re watching through the floor-to-ceiling windows next to the lobby at the Cliff House while soaking in the warmth from a massive stone-hearth fireplace. Stretching across the high ledge of Bald Head Cliff, the 226-room resort is a model of comfort-filled escape with deep winter discounts. For those seeking solitude, the sandy strands of Ogunquit are only minutes away, while shopping addicts can go in the opposite direction to the popular Kittery outlets. Either way, the resort makes you want to switch off your phone and get lost in a book. Last year was the first time in memory that the Cliff House stayed open for the winter, and staff members say it turned out to be a celebration season. Guests came to mark milestone birthdays and anniversaries — or to propose. To enhance the romance, the spa offers several Seacoast + Roses treatments inspired by the beach roses that grow wild all along the Maine coast. Patrons of the spa can stretch out in the Seaside Sanctuary to enjoy yet another magnificent view of the Atlantic. Not surprisingly, there’s lobster in various forms on the menu at The Tiller, the Cliff House’s restaurant. Chef Rick Shell works with at least 30 local farms and most of the area’s fishermen to serve up a rooted taste of Maine. The Tiller is also known for its broad selection of local microbrews. At night the heated stones and tiles surrounding the outdoor hot tub make it even easier to enjoy an after-dinner soak despite the cold temperatures. Behold the splash of stars across the inky night sky before retiring beneath the comforter back in your room. 591 Shore Road; 207-361-1000; destinationhotels.com/cliff-house. January weekend rates from $219 (about 30 percent below fall foliage season). Continue to unwind back in your room in front of the gas fireplace or immersed in the claw-foot soaking tub. As the name hints, Mirbeau (loosely translated as “reflected beauty”) has a distinct French accent. It was designed to emulate the country architecture and water-garden landscape of Claude Monet’s home in Giverny. That accent carries over to The Bistro & Wine Bar. If you’re going for the full experience, start with a champagne cocktail (or just a flute of bubbly) before a bowl of French onion soup, some warm mushroom salad, and steak frites. OK, you can go casual, too, with bottled beer and a burger — served on a brioche bun with melted gruyere cheese and caramelized onions. And, we’re sorry to report, you’ll have to put on real clothes for dinner. No fluffy robes are allowed in the dining room after 4 p.m.
35 Landmark Drive; 877-647-2328; plymouth.mirbeau.com. January weekend rates from $315 (about 20 percent below fall foliage season). Newport is all about the mansions. 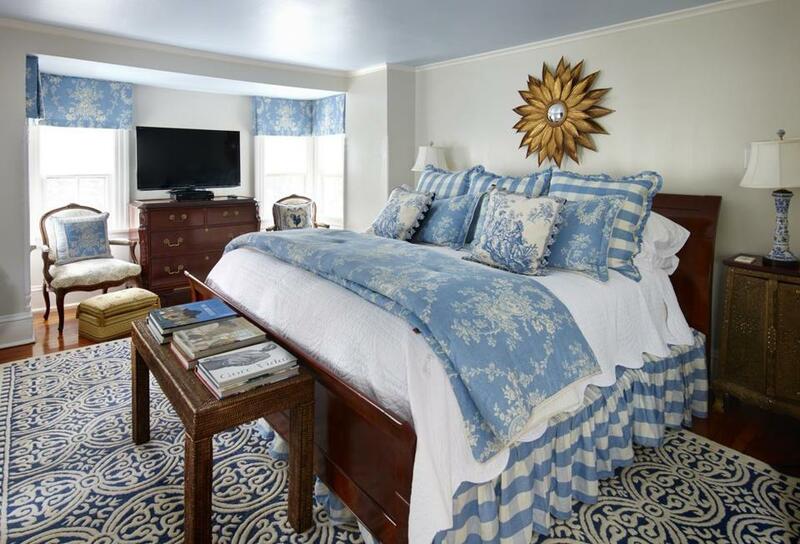 If tripping through the halls of The Breakers whets your appetite for the pampered lifestyle, a winter getaway to Castle Hill Inn will give you a taste of how the 19th-century 1 percent lived. The 1875 main mansion on the 40-acre private peninsula has a mere seven guest rooms, all with fireplaces. The most spectacular is probably the Turret Suite, with its 320-degree views of Narragansett Bay and a double soaking tub. Another 18 of the 33 total rooms are in the beach house or in beachside cottages where guests can sit by the fire, look out the windows, and watch the breakers roll. If you can tear yourself away from that view, the gentle scent of wood-burning fireplaces greets you in the lobby, the bar, and two dining rooms in the mansion. Room rates include a very civilized afternoon tea. 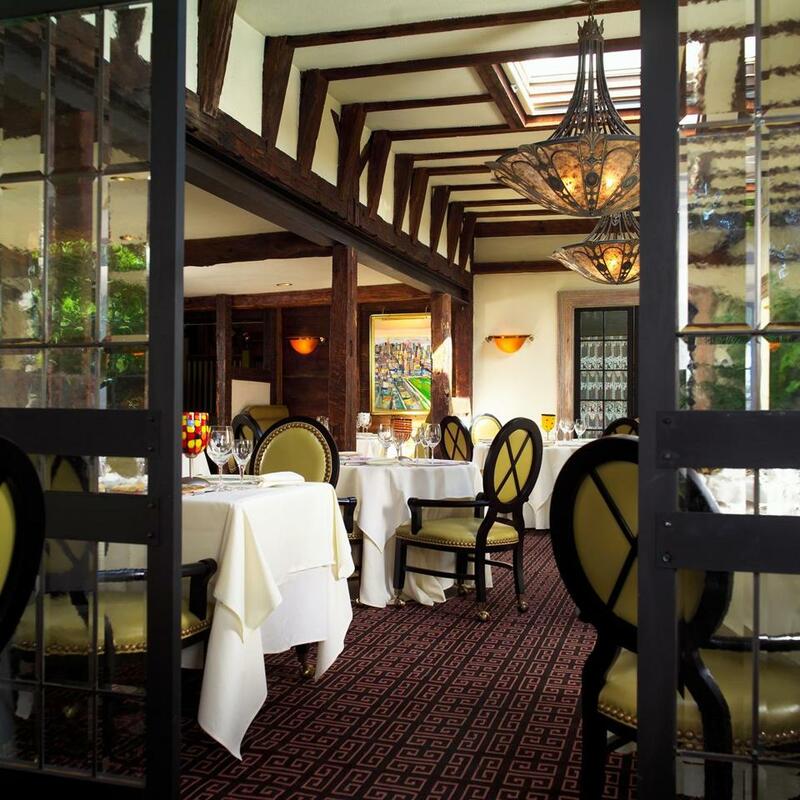 The main restaurant, with its posh take on New England classics accompanied by a deep wine list, remains open through the winter. For the ultimate leisurely dinner, opt for the six-course chef’s tasting menu with wine pairings. The room amenities as well as the products for facials, massages, and deep soaks at The Retreat at Castle Hill are from Farmaesthetics, the Rhode Island-born natural herbal skin care firm. The Retreat — not so much a full-fledged spa as a place to be coddled — is just right for a tranquil escape. Note: Plan your getaway carefully, as the inn goes dark for the first three-plus weeks of January. 590 Ocean Drive; 401-849-3800; castlehillinn.com. Late January weekend rates from $465 (about 25 percent below fall foliage season). The original 1899 inn on Weekapaug’s barrier beach was damaged in the 1938 hurricane, and the current inn opened the following summer on tidal Quonochontaug Pond, sheltered from the weather but still steps from the ocean. All 31 rooms at the Weekapaug Inn are equipped with a David Sibley birding guide and a pair of binoculars, and staff naturalist Mark Bullinger is the most popular guy in the house. He leads guided walks and van tours as well as photography sessions to capture the wildlife and icy allure of rocks coated with frozen spray. Harbor seals begin arriving in the area in September to spend the winter. During the winter, the salt pond harbors loons, ducks, and even some typically offshore birds such as gannets. If you don’t feel like packing a lot of your own gear, bundle up with thick socks, colorful Wellies, and weatherproof outerwear from the inn’s Hunter Boots Borrowing Closet. On Friday nights, Bullinger sets up the inn’s powerful telescope on one of the decks, and in the right weather, Weekapaug becomes a stargazer’s dream. After an outing, you can warm up in the outdoor hot tub or by one of the inn’s wood-burning fireplaces — one of which flickers in the bar, where you can sip cocktails before adjourning to the restaurant for coastal cuisine built around off-the-boat seafood, locally farmed shellfish, and a nicely curated wine cellar. If you have an after-coffee hankering to go back outside, ask the staff to light the shorefront fire pit so you can toast marshmallows for s’mores. FYI, the inn is closed for lodging Monday and Tuesday nights November through April, except for holidays. 25 Spray Rock Road; 855-679-2995; weekapauginn.com. January weekend rates from $400 (almost 20 percent below fall foliage season). When you stay at the Homestead Inn, plan on dressing for dinner if you’re going to dine at the exquisite Thomas Henkelmann restaurant. Casual elegance may be the daytime dress code, but jackets are gently suggested for gentlemen at dinner. Part of the fun of a getaway here is finally having someplace to wear that fabulous outfit that hangs in your closet whimpering for attention, or the necklace that’s just a bit over the top for a night in the North End. Greenwich is the crown jewel of Connecticut’s Gold Coast, and the glamorous 1859 Italianate Victorian manse that houses the Homestead Inn is one of the town’s treasures. It was the family manor of a property partitioned in the 1880s when Frederick Law Olmsted designed the Belle Haven neighborhood. Fittingly, the inn is grandfathered in as the only business in this exclusive residential community. 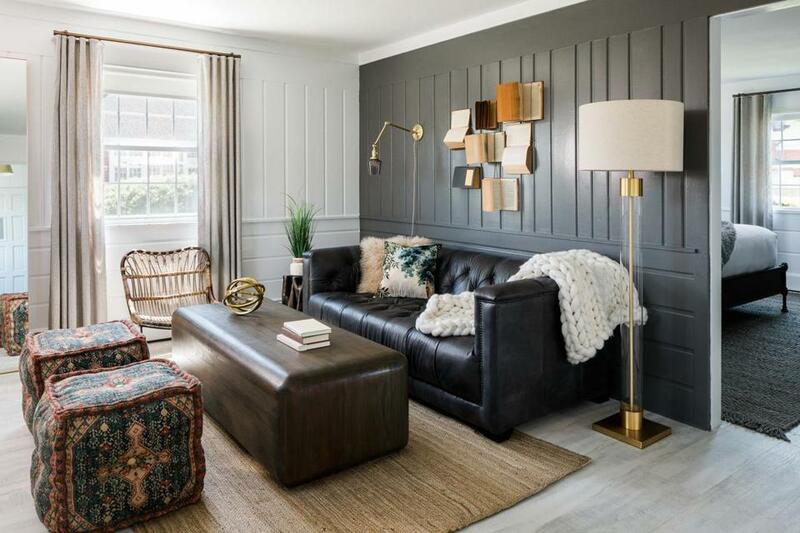 Co-owner Theresa Carroll was an interior designer by trade when she and her partner, Thomas Henkelmann, bought the property in 1997, and her work makes every room look like a spread from a shelter magazine. The 18 rooms, in the main house and the carriage house, are popular with captains of industry visiting the New York metro area. But the Homestead’s winter guests largely come to relax and be taken care of. Most of the employees in both the inn and restaurant have been with the property for many years. Guests who venture out might head to the upscale clothiers and decor boutiques along The Avenue, as locals call Greenwich Avenue. But they’re usually back in time for dinner, which, given Henkelmann’s Black Forest roots and Alsatian training, might revolve around game birds or venison. 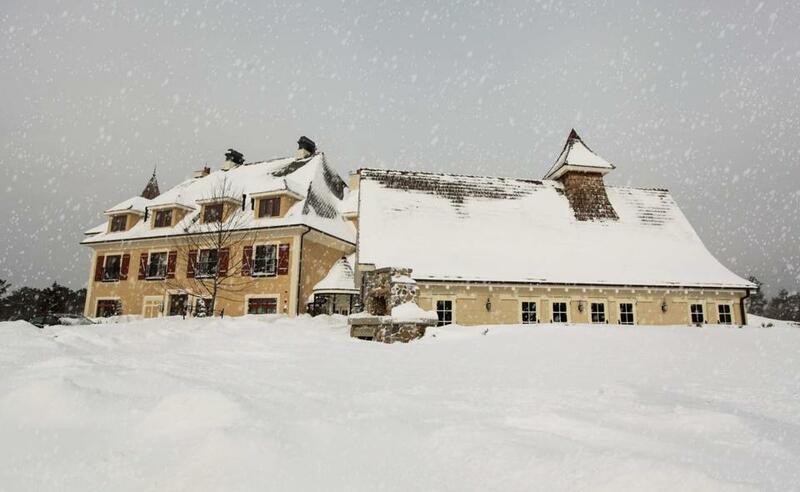 Keep in mind that the inn and restaurant close for two weeks during the March break at the area’s private schools. .com. January weekend rates from $280 (20 percent below fall foliage season). With sunset around 4:30 p.m. in the middle of January, you and your pooch (more on that in a moment) can savor the light show over Buzzards Bay from Old Silver Beach and still have a whole evening ahead. Once you return to The Coonamessett, warm up with a hot toddy or a mug of spiced cider at the bar. You’ll probably have plenty of company. The Coonamessett has been a regular hangout for year-round Cape Codders since 1953. And it hasn’t missed a beat since becoming part of the Lark Hotels chain last May. The locals still descend on Eli’s Tavern for drinks at the bar, romantic dinners, and special-occasion celebrations. Longtime Eli’s chef John Norton offers contemporary dishes such as Korean braised short rib steam buns and arctic char with butter-poached lobster tail and bacon ravioli to augment such “Coony classics” as pan-roasted cod and liver and onions. The reinvention of The Coonamessett as a boutique hotel has been a matter of decor and amenities in the 29 guest rooms and cottages. Some of the coziest rooms have four-poster beds, while handsome iron-frame beds grace others. A few rooms feature a lacy wallpaper pattern that’s a modern riff on the Cape Cod B&B tradition of crocheted doilies on the bedside table. 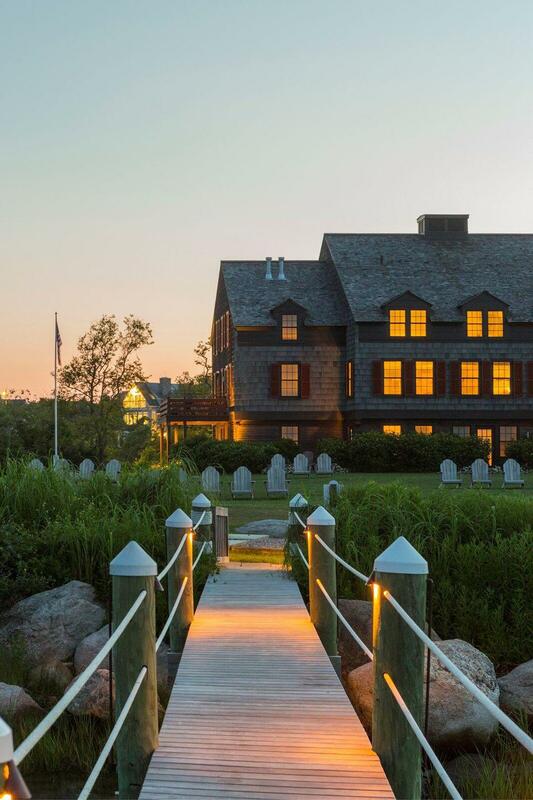 Of all these coastal getaways, The Coonamessett is the most casual and laid-back — as well as the most affordable. And bring Fido, because 18 of the rooms are pet friendly, many featuring exterior entrances so you don’t have to clickety-clack through the entire hotel to get outside. By the way, Falmouth beaches welcome dogs from October 1 through the end of April. 311 Gifford Street; 508-548-2300; thecoonamessett.com. January weekend rates from $298 for two nights (25 percent below fall foliage season). Gleaming white in the sun, Wentworth by the Sea resembles a landlocked ocean liner, with its three Victorian-era turrets standing in for the ship’s smokestacks. This grande dame hotel on New Castle island is the final survivor of the Gilded Age getaways on the Granite State’s short coastline. The elegant two-level suites in the turrets feature the best views — south and east to the Atlantic, north and west to the White Mountains. 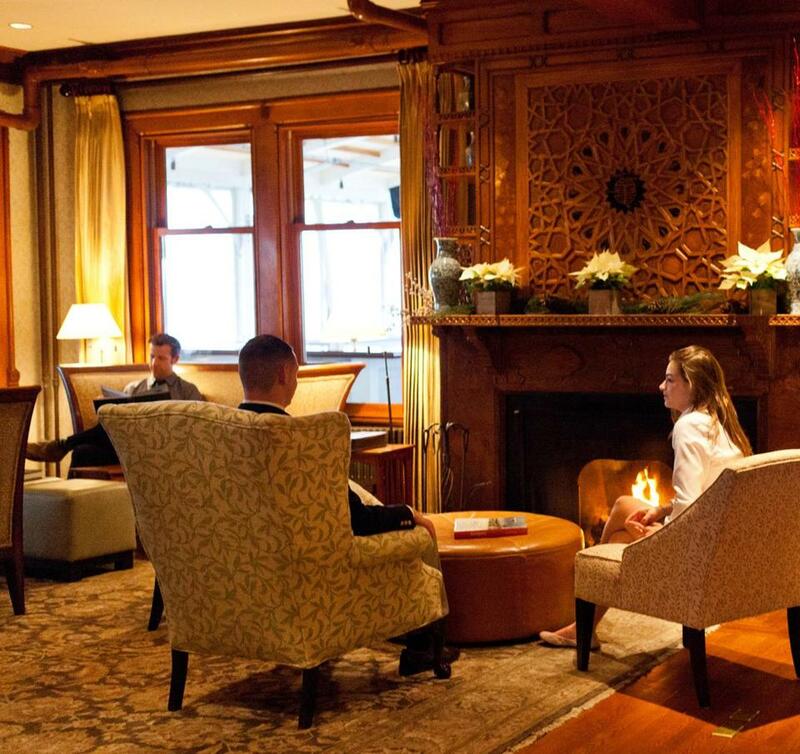 Despite the 161 rooms, snuggly getaways are Wentworth by the Sea’s winter stock in trade, and many guests choose the “Hygge” comfort package featuring rooms with fireplaces, comfy wool socks, and a book on the Danish philosophy of cozy contentment through enjoying simple pleasures. We’re not sure if a couples massage, a winter radiance facial, or a chocolate peppermint body scrub qualifies as a simple pleasure, but there’s no need to be doctrinaire about it. The small-city pleasures of Portsmouth, New Hampshire, are a quick complimentary shuttle ride away, but many guests opt to hole up at the resort to unplug by the lobby fireplace that opens on the other side to the estimable Salt Kitchen & Bar. If you’re more into the food than the fire, dine at the chef’s bar and watch the kitchen at work. Oenophiles might want to check out the tastings and dinners of the Winter Wine Festival, mid-January through mid-February. 588 Wentworth Road; 603-422-7322; wentworth.com. 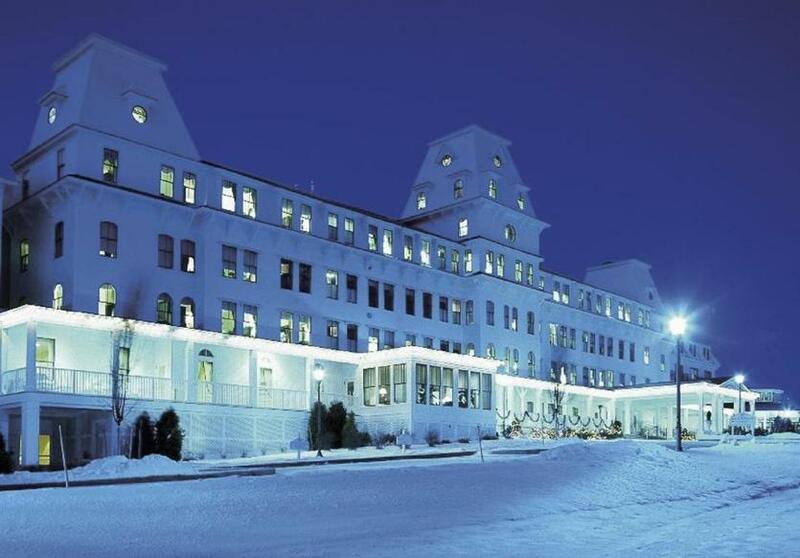 January weekend rates from $289 (38 percent below fall foliage season). Patricia Harris and David Lyon are frequent contributors to the Globe Magazine. Send comments to magazine@globe.com. Get the best of the magazine’s award-winning stories and features right in your e-mail inbox every Sunday. Sign up here.